A lovely and endearing rose version of our popular preserved swings, the Valentine’s Day Swing is simply charming when hung on a doorknob, dresser, or armoire, and our customers tell us they’ve also used them to adorn presents. A reminder of your thoughtfulness and appreciation daily. The mini circlet is designed with preserved myrtle, rice flower, red phalaris, larkspur, and casoua, all interwoven to form a perfect little wreath that surrounds a preserved red rose. 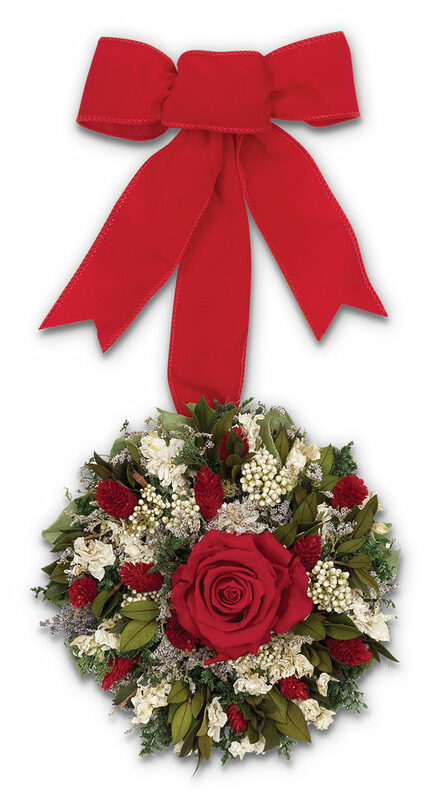 A red velvet ribbon finishes the look and allows for easy hanging.